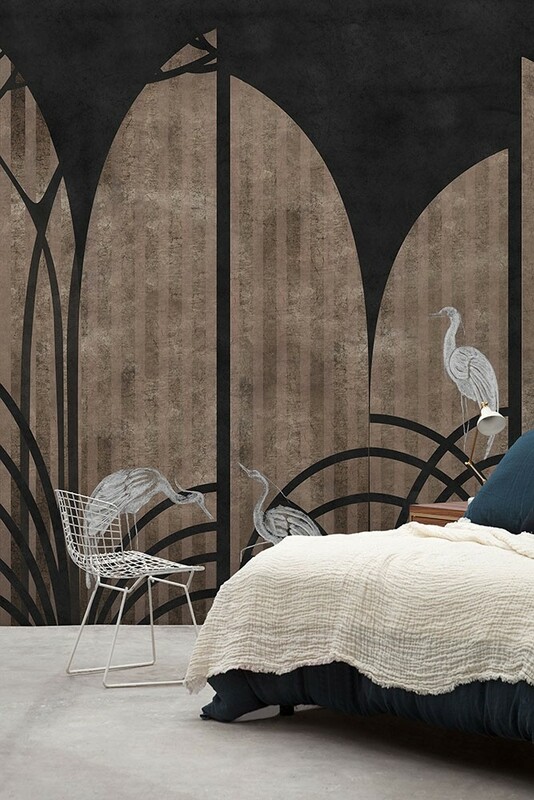 Synonymous with Japanese designs the Art Deco Wall Mural in Tassel Coal pays homage to iconic oriental styles. 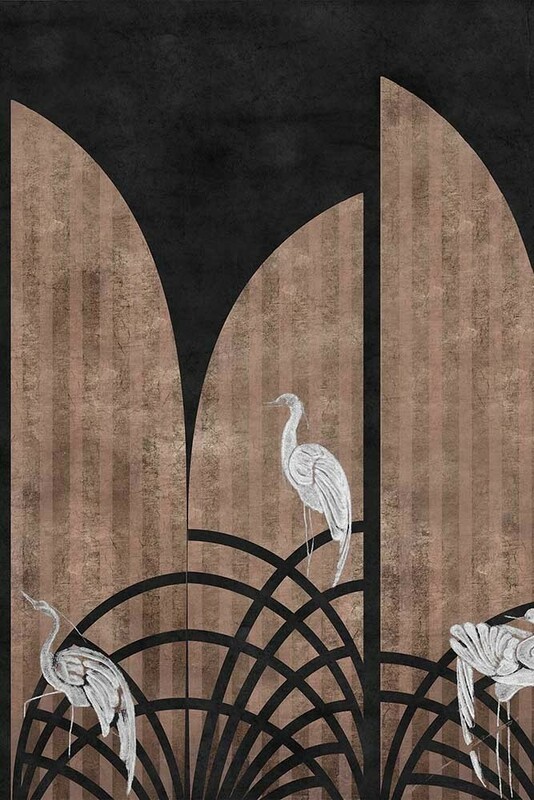 A gorgeous wall mural with deep and rich colours the Tassel Chai Japanese style wall mural features a bold black backdrop with natural brown coloured geometrics and white cranes. But, the reason why we think that you will particularly love this Brown & Black Japanese Wall Mural is because of it’s timeless quality, looking beautiful in your home for many years to come. The combination of deep colours and classic Japanese symbolism creates a calm and relaxed feeling in the home whilst also creating impact too. A somewhat tricky balance to achieve in the home, making this beautiful mural a particularly great choice for living spaces and bedrooms.